Madrid is filled with amazing art galleries and museums. So if you’re an art lover, you’ll certainly have a great time in this Spanish capital city. If you wanted to dig a little deeper into the world of fine arts of Madrid, there are just so many places that are waiting for you to explore. Wondering where you should go? Check out this list of some of the most famous museums in Madrid for art lovers. The Prado Museum is definitely one of Madrid’s most famous museums and should be on top of your list of places to visit in the city. It houses a permanent collection of art pieces including Spanish paintings dating back from the 11th century. Paintings made by popular Spanish artists and painters like Pedro Berruguete, Bartolomé Bermejo and Juan de Juanes can also be found in the Prado Museum. These are paintings from the Spanish-Flemish Gothic era to the Renaissance. There’s also a gallery devoted to the work of El Greco, displaying some of his most notable works. TIPS:A good time to visit the museum is during lunchtime when others are eating or enjoying a traditional siesta. Between 2 and 5 PM, the museum is a bit quieter which is a great time to enjoy the art displays without having to battle with the crowds. 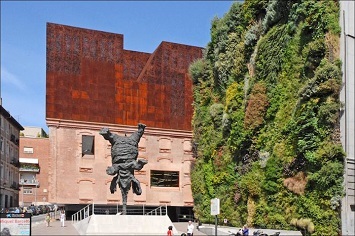 The Caixa Forum museum is a museum that is dedicated to media arts and contemporary arts. This highly remarkable museum is housed in a contemporary designed building that’s famous for its vertical garden having more than 15,000 plants, designed by French botanist Patrick Blanc. The vertical garden is an icon in itself and is one of the reasons why many travellers would head to this place. Inside the museum, you’ll find some cool and funky modern art pieces and some impressive temporary art exhibits. 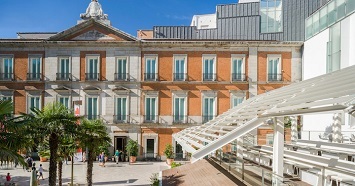 The Thyssen-Bornemisza Museum is known for its wealth of treasures and exquisite collections that consist of more than a thousand works of art. Most of these art pieces are private personal collection of Baron Hans-Heinrich Thyssen-Bornemisza, which dates back to 1921. The art collections are regarded as one of the most significant art collections in the world. It showcases a unique and fascinating art pieces from the early 13th century until the 20th century. With more than a thousand works on display, a visit to this museum means immersing yourself to a massive collection of art pieces, from Baroque, Renaissance, Rococo Romanticism, and more. 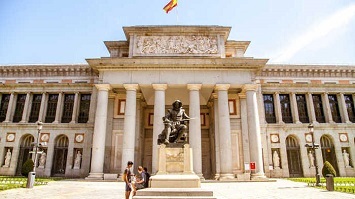 TIPS:The museum is located near two other museums, the Prado Museum and the Reina Sofía museum, in an area known as the Golden Triangle of Art. All three museums are only a walking distance away from each other so you better visit the other two museums as well when heading to the Thyssen-Bornemisza Museum. The Museo del Romanticismo features the works of some famous artists, like Esquivel, Madrazo, Alenza, Goya and the Bécquer brothers. It includes jewellery pieces made of lava, ebonite, and human hair, as well as ceramics from the Sèvres and Sargadelos. There’s also an extraordinary collection of porcelain dolls, imperial and Isabelline furniture, 15 pianos, and the pistol that Larra used when committing suicide during the Romantic period. Each and every room inside the museum has a different look and feel to it. Others have some shades of blue while some rooms are in tans and pinks. TIPS:Because of the unique characteristics of the museum, the visitor capacity is quite limited. So it’s important that you schedule your visit to the museum in advance. 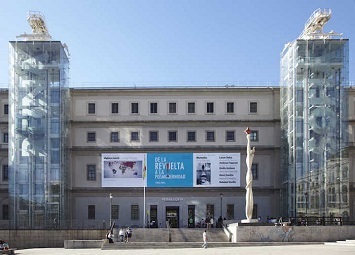 The Reina Sofia museum is another popular museum in Madrid when it comes to contemporary art and modern at. 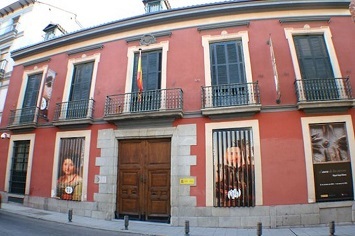 In fact, this museum is like the modern counterpart of the Prado Museum. The building is divided to two sections – new wing and the old wing. Old wing houses a permanent collection of art pieces while temporary art exhibits can be found at the new wing. The old building used to be a hospital during the early times and is designed and built as a square surrounding a tranquil courtyard. Each and every floor of the museum has its own gem, although the most popular piece is Picasso’s Guernica. TIPS:If you wanted to make the most of your visit to the museum, book your tickets in advance especially if you wanted to see one of the blockbuster temporary exhibits. 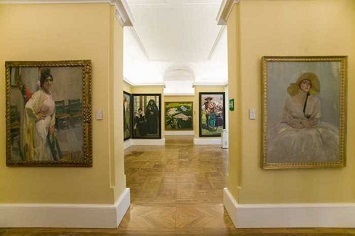 The Museo Sorolla houses a great collection of artwork by the famous painter, Joaquin Sorolla Bastida. Situated within the artist’s house and former art studio, the museum will take you to explore the painter’s world in a unique way, while getting a close up view of his personal belongings and paintings. The museum also showcases range of furniture and objects that used to be part of the artist’s everyday life. There’s also a garden surrounding the building that was designed by Sorolla himself. Both the house and the garden are in a singular space that is a representation the painter’s unique creative skills. TIPS:Visit the museum during late afternoon when the sunlight beautifully illuminates the collection. Take advantage of the free entry during Saturday afternoons and Sundays.